Grammar Captive is new and growing, and there are portions of this website that are not yet complete. Do not let this prevent you from signing up where you are asked! For, by taking advantage of what Grammar Captive offers today you will enjoy future benefits tomorrow that others at Grammar Captive will not. Free 20-minute, weekly podcasts that make small, but troublesome aspects of the English language easy to understand and easily overcome. the Underlying nature of language in general and the English language in specific. the Difference between the logic of the sender and the logic of the language. the Hierarchy of syntactical structure and its important in the deconstruction and construction of meaningful messages. the Interplay between the form, meaning, and use of words and phrases. the Difference between style and grammar and why both are important. the Importance of this latter's very practical uses. In effect, these podcasts will teach you the little, but important things that you were never, or only poorly, taught in school, and that you need to know in order to make learning and using the English language, or for this matter, any language, easier. Learning a second language well is no easy feat, and anyone who tells you differently is trying to deceive you. There do exist techniques, however, that make this feat less formidable than it would otherwise be. The Grammar Captive podcasts introduce you to these techniques and the Grammar Captive webinar series help you to master them. The most recent podcast can always be found by clicking on the word Podcasts in the navigation panel to the left of this webpage. There you will also find access to all previous podcasts and a means to be automatically notified about new up-coming podcasts as they are created. Grammar Captive is where you learn to apply what you already know and still need to learn in order to acquire more easily the knowledge that you truly want to know! It is where you hone the techniques to which you are introduced in the Grammar Captive podcasts. It is also where you learn and master new techniques that cannot be adequately presented in the short space of 20-minutes. Grammar Captive is about application and understanding -- not the memorization of mindless patterns and endless drills that lead to nowhere! The Webinar Series is best suited for those looking for a workable alternative to the current treatment of grammar in English classes around the world. Clausal Analysis: a top-down approach that cuts through the logic of the language so that you can more easily understand the logic of the sender/author's message. Linear Analysis: a trial-and-error approach that follows the logical (left-right) grammatical flow of the sender/author's message. Not every word and phrase is important to the understanding of the message. In addition to these uniquely developed techniques you will learn the vocabulary of English grammar in such a way that you can research the rules of the language on your own without the help of a teacher. Preparing for advanced English language examinations for whatever reason. Looking for a workable alternative to the current treatment of grammar in English classes around the world. English language majors looking to get ahead. Sufficient knowledge of spoken English. Alternatively, good command of French, German, or Japanese is also acceptable. A strong desire to become proficient in the English language. Every child learn's the grammar of his mother's tongue through trial-and-error experimentation. As adults we rarely have the time, opportunity, or even motivation to learn a second language in the same way. This said, second language learners have certain advantages that children do not -- especially, the pre-existent knowledge of their own language and numerous reference works -- both online and offline -- that are dedicated to the study and understanding of the grammar and vocabulary of the English language. Unfortunately, students often receive no, or only poor, training in the use of this reference material. Grammar Captive makes use of the same experimentation of the child, but applies it in a manner that takes advantage of the aforementioned pre-existent knowledge. No language can function without grammar, and in most English classrooms today the grammar of the English language has been pushed aside in favor of oral communication -- no matter the quality of the language used in that communication. This is simply inappropriate. Alternatively, grammar is taught as a special skill separate from reading, writing, listening, and speaking. At Grammar Captive we not only apply the rules of the language as we learn them, we learn the rules as we use the language. Grammar and the four basic skills are fully integrated. At Grammar Captive we combine a more traditional understanding of English grammar with new innovative techniques that make the learning of grammar both interesting and effective. The Grammar Captive Webinar Series currently hosts two kinds of webinars including regular and special sessions. Regular Sessions: Small groups of students meet twice weekly to strengthen what they already know and discover what they still need to learn. Special Sessions: Your host lectures at length on problems discovered during the regular sessions. There are three payment plans and a free-webinar to help you become acquainted with your host and better decide whether the Grammar Captive Webinar Series can help you. Please visit the navigation bar to the right or just above this window panel and look under Products/Webinar Series. There you can discover more about the aforementioned sessions, as well as the three payment plans, available times, and registration procedure. Signing up for the free-webinar is easy. Take advantage of it! Speak better! Write better! Live better! Unlike the Webinar Series that focuses on applied grammar and always takes place online, Grammar Captive (GC) Tutor can be accessed both on- and offline and provides all of the services that one would expect from a seasoned, professional, language consultant including phonetics, the four basic skills (reading, writing, speaking, and listening), presentation, interviewing, cross-cultural communication, business correspondence, translation, test preparation, teaching English as a second/foreign language (TESOL, TEFL, etc. ), and much more. DongGuk Nabi - In six short lessons DongGuk, a recent Korean immigrant and aspiring Christian minister, learned to distinguish between the English n-, l-, and r-sounds and form them properly. In addition, he learned how to distinguish and form properly the f- and v- sounds and all of the English language vowels that do not form a part of the Korean language. If you ask him, he can probably even tell you how to find your uvula and provide you with a meaningful definition of phonemic pairs. 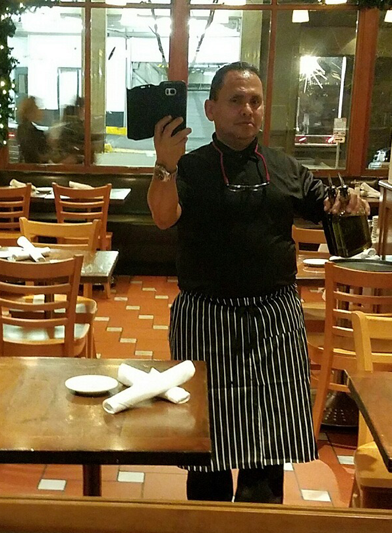 Porfirio Andara - Within three weeks Porfirio, a Honduran immigrant, went from a dishwasher at Nordstrom and short-order cook at a hole-in-the-wall burger joint in downtown Seattle to an assistant server at an upscale Italian restaurant in WestLake Mall. In order to achieve this social and economic upgrade I helped Porfirio obtain his MAST permit for the State of Washington and his food-handling permit for King County. In addition, I helped him to make the necessary online payment for his greencard and obtain hard-copy certification thereof. Further, I helped Porfirio apply online for two jobs with two top-ranked international hotels, and find, purchase, and install security software appropriate for his own computer and budget. Already, Porfirio has returned to school and is now receiving formal training. Samėt Ibas - In the spring of 2015 Samėt and I met online. 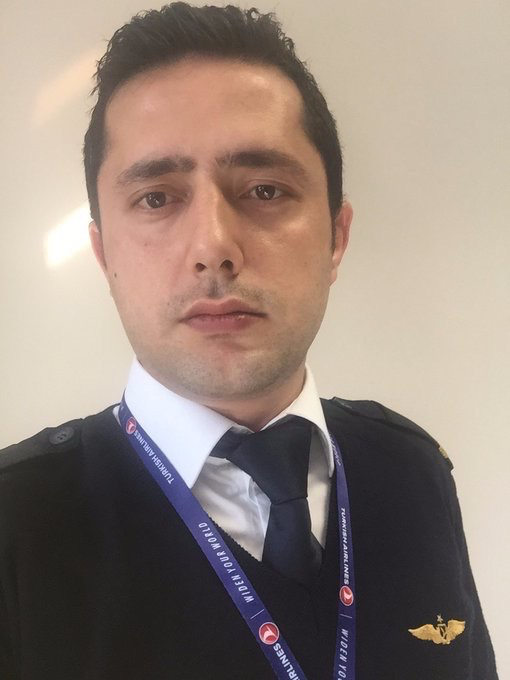 He had just failed his first interview for entry into flight training school with Turkish Airlines. He asked me, if I would not help him to prepare for a second chance. Samėt and I rehearsed over 110 interview questions used by the airlines to screen students for acceptance into flight school. Not only did Samét pass his interview, but he recently sent me a photo as proof that he had been awarded his wings! Jacqueline Kollasch - I helped Jacqueline to prepare for entry into a top-ranked school where she hopes to obtain certification in education. Jacqueline is a Peruvian immigrant who raised her only son by herself before sending him off to school. Now, she wants to move her own professional career forward as a Spanish teacher in the greater Seattle area. I hope she made it! Grammar Captive is about you, the English language, and my ability to help in your escape from the prison of bad grammar. Grammar is the set of rules that allows us to arrange and rearrange words in meaningful ways. Without these rules the vast majority of the vocabulary (words) that we learn would be of little use. The emphasis on communication in today's English language classroom has made grammar a bad word. As a result the study of grammar has been neglected, and the ability of even advanced second language learners to communicate well has been impaired. Today, there are even those who tell English language learners to forget the study of grammar altogether. Grammar Captive corrects this nonsense by teaching students what they are not being taught and by helping them to understand better what they have never clearly understood and need to know. Indeed, the single most important advantage that second language learners have over those who learn English as their first language (native speakers) is that the rules of a second language can be easily explained and understood without the learner having to figure them out on his own. There is another problem as well. Many who profess to understand the rules of a language find it difficult to apply them in daily conversation and correspondence. This is because they have learned them in the same way that the rules of language are too often taught -- as inflexible patterns without a clear understanding of how to use and apply them flexibly. At Grammar Captive we learn why the patterns exist and how they work so that you can easily separate sense from nonsense and apply the rules with good efficiency and effectiveness. Grammar Captive focuses on technique and application. the understanding of a language does not guarantee your ability to communicate in it. Finally, if you wish to escape from the prison of the bad grammar, then you must learn the rules that hold you captive. For, only by mastering the rules through practice and understanding can you escape their grip and free yourself from their imprisonment. If you have read the About section, then you already have some idea about how Grammar Captive can help you. In this section I would like to tell you a little about me and why I am the right person to host Grammar Captive. I started my professional teaching career not far from Detroit, Michigan, in 1972. Since then, I have taught in nearly every imaginable language learning setting in eight countries on three continents including the Middle East. In each country that I have taught I have made a sincere effort to acquire the customs and principal language of my host nation. This has not been an easy task. Important to you is the general knowledge that I have acquired about learning second languages. For, in my effort to acquire the languages and cultures of others I have come to know well the very problems with which you are faced as a student of the English language. Accordingly, learning the grammar of other languages has provided me with knowledge of grammar, language, and the English language that no teacher can learn from a textbook. Further, having taught English in so many different settings has taught me how to make the English language accessible to just about anyone. In short, no matter your native background you will likely find what I have to teach useful. My goal at Grammar Captive is to fill an important gap that has been created by the world's English language industry in its effort to profit from the artificial demand created by misguided government language policies and the erroneous belief that everyone in the world must speak the English language in order to get ahead. This said, I hope from the bottom of my heart that you can acquire the level of English language competence that you seek, and that I can provide you with the technique and knowledge that you require in order to reach that level. Additionally, my goal is to provide you with the knowledge that you need to become your own master and free yourself from the prison of bad grammar and those who pretend to know how to teach a second language, but have hardly a clue about what it means to learn one. If the Grammar Captive site appears old or traditional in design, then understand that the study of grammar and language has been around since the Ancient Greeks, that all that is new is not good, and that what is new may be better explained by other factors related only indirectly to second language acquisition. In the end I would like to encourage you to investigate the Grammar Captive website more thoroughly than you might already have. For example, you are heartily encouraged to visit the Grammar Captive Weekly Podcasts hostpage and listen to a variety of different podcasts. Or, if you do not know what a podcast is, even learn about how they work. Do not be satisfied or turned away with one. Also, if you do not like the organization of the Grammar Captive website, and are turned away by its classical design, you may create your own organization by making good use of Grammar Captive's specially designed search engines; there exists one for newsletters, one for podcasts, and one for Q&A. You may access these engines further down in the Grammar Captive navigation bar on this very page. In closing, I would like to welcome you, still again, to Grammar Captive and hope with all of my heart that I can help you to succeed in your career aspirations. by Jeff Starr at Black Hole for Bad Bots. Attracted by the name I read how it works, and downloaded and installed it. The idea is simply cool. You create a file called robots.txt that you can customize with your own directives or simply leave blank. When a bot arrives it is asked to respect the presence and eventually contents of the file. It it does not, the bot attempts to open a hidden link that it could not otherwise open. This triggers an immediate block of the misbehaved bot. The immediate result is that only good bots that respect the presence of the robots.txt file are allowed to glean the site's links and make these available to search engines. By the way, this works for any site -- not just WordPress sites. By the same author Block Bad Queries (BBQ) apparently scans all incoming user requests and looks for a variety of suspicious activity. As there were no negative reports when I downloaded it, and as I am pleased with the results of Black Hole for Bad Bots I decided to keep it. by Timothy Boronczyk (Bluephoenix) at Codewalkers Display Tutorials. Timothy's simply built, highly lucid, easy to use template engine is the mechanism used to format and fill the <div> inserts that populate the center of Grammar Captive's podcast webpage each time a user clicks on the Grammar Captive icon and/or link at some remote, third-party, podcast hostsite. Without Chart.js Grammar Captive's Charts & Graphs option in the Visitor Profile menu of Grammar Captive's navigation bar would not have been possible. Many thanks for the great work at Chart.js on GitHub! For trouble-free and immediate implementation download the latest version at https://cdnjs.com/libraries/Chart.js, copy it into a file, and give the file a name and save it. Then load the script as a <script> tag in the <head> element of the document in which you intend to exhibit your charts and graphs. How to Submit a Form Without Page Refresh Using jQuery by Eric at Code Tutorials. It is common practice to send form data to a PHP or other processing file with the click of a form's submit button. When this occurs the user is redirected to a processing file and compelled to abandon the page that he is on. This problem is often overcome by placing the form within an <iframe> on the original page, for when the page within the element changes, the original page does not. What happens, however, when the form is not placed in an <iframe>, but rather in an HTML insert that is called by AJAX? Eric provides a solution that can easily be expanded. by Peppe Occhi at Packagist. A useful PHP utility that makes the scheduling and handling of UNIX CRON Jobs easy. CRON jobs are background PHP routines that are repeated on a regular basis. Currently Grammar Captive uses CRON Scheduler to generate regularly scheduled Matomo analytic reports that make current Matomo data more readily available to casual visitors and ardent users. An expected future use, among others, is regularly scheduled mass mailings. by FeedEK at jquery-plugins.net. FeedEk is a jQuery plugin for parsing and displaying RSS and Atom feeds. FeedEk uses the YQL API to retrieve feeds. Feeds can be easily obtained from any domain. No need for server-side scripts. by Anis Uddin Ahmad and Michael Bremmer at mibe/FeedWriter. FeedWriter is a well-constructed feed writer written in PHP. It services the RSS1, RSS2, and ATOM feeds with a special class for each feed type. In each class special methods exist for all of the major <channel> and <item> elements and subelements. For elements for which no method exists there are easily customizable generic methods. FeedWriter is also easily installed using Composer. If there is one weakness to this easy to use library, then it is the absence of a method to create closed XML tags for the iTunes namespace. As a result, subcategories are not possible. Still, for a novice who understands PHP this is a great place to get started. by happyworm at jPlayer.org. The circle.jplayer skin is one marvelous piece of mechanical artwork that provides start, pause, and mid-play selection in a circle. It took some time setting it up, but this was no fault of happyworm. The widget comes in many shapes and forms and can handle both audio and video. For the moment, I can only speak well of the the audio, as I have not used the video. JsSocials by Artem Tabalin at GitHub. An easy to implement jQuery plugin that makes it easy for user's to share your material with their friends. Everyone wins, the user, the developer, the site-owner, jQuery, GitHub, Artem, and everyone's commercial sponsors. 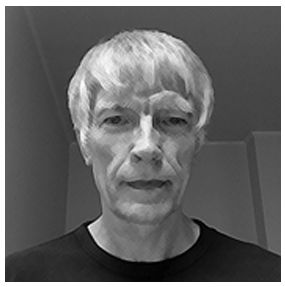 The Mecab Parser is a MySQL Plug-in that works wonderfully once it is properly set up, but setting it up may prove difficult. The parser is used to search Japanese words and phrases in Japanese encoded text. Unlike many languages for which blank spaces form natural breaks between words, Japanese text flows unbroken. Searching individual words in such a context thus requires a different kind of search technique. The Mecab Parser provides this technique. Some of the problems that I ran into included: failure to find and target properly the correct files, failure to encode the effected MySQL datatable in addition to the appropriate columns, and failure to install the parser in the proper directory. Several other problems of a less direct nature needed to be overcome as well. In addition to the already provided link, this link from the Qiita Community was especially useful. Hint: Add the parser to your MySQL table only after you have correctly built the table. Also, do not expect the parser to show in myPhpAdmin, and do not expect to add the parser to your table with anything but a SQL statement. by Paulund at Paulund. All I really wanted was control over the size and color of a standard HTML checkbox. Thanks to Paulund I ended up with a sliding button that lights up when selected. It appears that Paulund has a lot more to offer. by PHP at www.php.net. PHP is a general scripting language that can be used for a variety of purposes. Currently I use it to send confirmation email and maintain the Grammar Captive blog page. In the still somewhat distant future I plan to use it to collect email addresses and passwords, manipulate and store webinar videos and email, and host Grammar Captive's membership forum. sponsored by SmartMessages on GitHub. PHP Mailer is a full-featured email creation and transfer class for PHP. It is what Grammar Captive is using to develop and implement the mass mailing of Seven Gates, Grammar Captive's weekly newsletter. PHP Mailer is one of the better presented PHP libraries on the web. by Wayne Allen at www.postieplugin.com. This is the software that allows Grammar Captive's host to post to the Grammar Captive blogpage via email. Indirectly, it also make it possible for me to post to Grammar Captive's RSS feed using the same mailing scheme. by stackoverflow at stackoverflow.com. The number of problems that I have resolved with either hints or indirect answers from stackoverflow are simply too numerous to mention. Nearly everything you need can be found with a strategically worded online search using your favorite search engine. Whereas W3Schools teaches the basics, stackoverflow provides answers to particular questions that others have encountered and could not easily overcome on their own. Often the people who provide these answers are very knowledgeable and sometimes provide valuable insight into the nature of coding itself. by Symphony at SwiftMailer. SwiftMailer is the email software employed by CRON Scheduler to alert users of the execution of scheduled CRON Jobs. When properly configured SwiftMailer will send you a copy of the output run by the executed job. Swiftmailer requires PHP 7.0 or greater! by David DeSantro at 3D Transforms. A great introduction to the cube-object and how to transform it. And, do not miss his further illustration on CodePen. by Chien Guan Tin (Tim) at timdream.org. These 1,200 plus lines of code create an amazingly handsome, thoroughly customizable display of words according to their relative importance as a function of their frequency of occurrence. The implementation is relatively easy with only minor inconsistencies between the actual code and guidelines for use. Grammar Captive has implemented WordCloud2 together with Matomo as an analytical tool for understanding visitor tastes and interests at a glance. I can recommend it highly. by Wordpress at https://www.wordpress.org. Despite its very good reputation and widespread use on the internet Wordpress does not permit simultaneous off-line and on-line development -- well, at least not with the facility that Grammar Captive requires. Still. it is Grammar Captive's blog platform, and it is developed and maintained by a completely voluntary staff -- people who take pride in their work and contribute freely to the betterment of the human condition. Let us see what the future brings! by Red Sand at www.redsandmarketing.com and others. This easily installed software developed for use with WordPress was able to provide the spam protection to Grammar Captive that Akismet Anti-Spam was unable. by WP-Cerber at WP-Cerber. Unlike my other security software for Grammar Captive's WordPress blog page WP-Cerber offers a host of options that can be adjusted according to current conditions. Included are push options that allows site owners to know when their site is under attack so that appropriate measures can be taken swiftly. In addition, WP-Cerber tells owners what action it has taken and against whom. by w3schools.com at www.w3schools.com. I cannot say that W3Schools has taught me everthing that I need to know about code writing, but I can say that it is nearly always the first place I look when I am unsure about its proper use. by Iubenda at Iubenda. Firms should not make promises that they cannot keep, and attorneys are expensive and often not nearly as knowledgeable about the industry in which a firm trades as the firm itself. Iubenda helps firms to select those aspects of the law that are most likely to affect them so that they can better formulate legally binding promises that they can truly keep. Iubenda also make it easy to display these promises in a convenient online format. by Precarious Heights at www.precariousheights.com. Precarious Heights turned my own slow-to-load, unedited, six-minute monologue into a dynamic three-minute video with top quality editing, transformative imagery, and superbly organized content and delivery. And, all of this with the patience of a professional dedicated to his customer's needs. My very best to Richard Wu, Creative Director, at Precarious Heights! A good friend and senior software technician with BECU (Boeing Employees Credit Union), Chris, has offered extremely valuable assistance in regard to the set-up and use of MySQL data tables. He is well-versed in many other aspects of web development, as well. Best of all, he does not pretend to know what he does not. Thank you, Chris! Amin Al Beladi - Without Amin I would not have been able to afford the deposit fee on my new office at Hing Hay CoWorks. As my former student at King Abdulaziz University in Jeddah, Saudi Arabia, Amin put his trust in me and paid for 25 sessions of the Grammar Captive Webinar Series in advance. Amin is currently resident in Jeddah and hopes to return to North America very soon. Osama Al Shehri - Although Osama was never my student we shared the same student lounge together at King Abdulaziz University in Jeddah. He was a graduate student in the Department of European Languages and Literature, and I was the faculty coordinator for the university's student language club. We have since met up on Twitter where he regularly tweets in English about the role of women in Saudi society. We do not always agree on this issue, but he recently provided me with an alternative translation of my advertisement into Arabic -- a translation that even Ahmet likes better than his own. For this, I am deeply grateful. Ahmet Al Attas - Ahmet translated my promotional mail insert for the Grammar Captive Webinar Series from English into Arabic and is slowly, but surely becoming my friend. He hopes to attend psychology at the University of Washington in Seattle as soon as he completes his studies at Bellevue College. We, too, met on the infamous Cambly website. Faisal Tonsi - I met Faisal in December 2015 on Cambly, the misguided online forum for student/tutor conversational interchange. Faisal and I have been friends ever since. With regard to Grammar Captive Faisal has offered a youthful perspective and many suggestions -- both direct and indirect -- to the improvement of the GC website's effectiveness. Faisal is studying English in Orlando, Florida. Prof. Dr. Peter P. Baron - Thanks to my good friend Prof. Dr. Baron for his helpful advice and very generous financial help in making Grammar Captive a successful enterprise. Sugano Yoshihiko - After translating the text of my mail-insert from English into Japanese I sent it to my good friend Prof. Dr. Peter P. Baron. In my email I asked Dr. Baron, if there were not someone with whom he is acquainted whose mother tongue is Japanese and who would be willing to review my translation. Not only did Mr. Sugano correct my Japanese, but he provided a critical, localized review for a commercial Japanese audience. I am deeply grateful to both him and my friend for their coordinated effort. I have been with Lunarpages for many years already and can recommend them with good confidence. They respond quickly and work with you until the problem is solved. The Grammar Captive website is hosted at Lunarpages, a reliable and reputable hub of the Add2Net, Inc. network located in Orange, California about 60 kilometers (40 miles) southeast of Los Angeles. When speaking of data security it is important to distinguish between data storage and data transmission. Stored data can be quite secure while data transmitted from one server/computer to the next can be read by anyone and everyone with access to a computer node -- namely, a computer that relays data from one computer to the next along the route of data transmission. A simple network trace usually reveals a significant number of such nodes between your computer and the computer of the website whose data you download when you open a webpage. One can also transmit data securely, but fail to secure its storage. How you secure your data on your own computer is, of course, your responsibility. In contrast, Grammar Captive pays Lunarpages to store its data safely (including the data that you send it) and to provide you with a means to communicate (send and receive data) with Grammar Captive's server account securely. This said, like the data that you store on your own computer, how you secure your data when you send it to the Lunarpages' host server, is up to you and your computer's ability to negotiate a secure connection with the server. Storage and transmission are not the only difference about which you should be aware. The viewing (receiving) and sending of data are also very separate matters. Although it is unlikely that you can view a webpage in complete privacy and not send your data over the internet secured, it is possible that everything that you view can be seen by others, and you can still send your private information securely. What determines whether your data is sent securely is the protocol used to send it, the nature of the server to which it is sent, and the ability of your own computer to negotiate a secure connection with the server that receives your data and stores it. When you open a Grammar Captive webpage, for example, you download the code that is used to send your data. If and only if, a secure connection between your computer and the Lunarpages' host server can be established, will your data be sent. If you use the https:// prefix, and you receive no complaint from your web browser, then your computer and the host server have likely negotiated a secure connection. Others can know the address of the page that you are viewing, but they can only know what you are viewing, if they themselves download the same page. In contrast, all communication with the host server while you are viewing the webpage is encrypted and therefore invisible to others. On some pages this is the majority of what you view. You can view Grammar Captive webpages either with a secure or unsecured connection. If while viewing Grammar Captive pages with a secure connection, you are directed to a webpage that is hosted on a third-party server that is not secure, you will be denied access, because your computer and the third-party server was unable to negotiate a secure connection. In this event, you have only to change the protocol from https:// to http:// and all pages will become visible. caution: just because you are able to view a webpage securely does not in anyway protect you from the receipt of malware, trojan horses, viruses, spyware, or any other sort of malicious attempt to sabotage your computer or communication with other computers. A secure connection can only ensure that the malware that you download into your computer cannot be seen by others as it is being downloaded. Even if you are unable, or do not wish to be bothered by special privacy concerns, you are still able to send your private data securely, provided that the host server is able to negotiate a secure connection with your computer. This is because the protocol used to send data can be different from the protocol used to receive data. To be clear, it is the protocol that is used when you click the button that determines how your data is sent -- not the protocol used to open the page and download it into your computer. What is more, the sending protocol used by Grammar Captive is built into the mechanism by which your data is sent, and if a secure connection is not possible your transmission will be rejected. Finally, the data with which you complete a Grammar Captive form remains on your computer until you click the button (Send, Submit, Register, Sign-up, Subscribe, etc.) that triggers the data for transmission. In conclusion, you can only send your data securely or not at all. If your computer and the Lunarpages host server are able to establish a secure connection, your data will be sent using either a TLS or SSL layer. Although TLS and SSL both employ the same https:// prefix, a TLS transmission is more secure than an SSL transmission. Which protocol is used depends upon the nature of the protocol negotiated between your computer and the Lunarpages' host server. The TLS layer is not guaranteed, but it is always preferred. If for some reason you still feel uncomfortable about how your personal information will be handled, then please read Grammar Captive's legal promise under the same subheading where you found this section on Internet Security. Alternatively, you may click on the word Info under the Contact heading in the Grammar Captive navigation bar on your left and connect directly via telephone or a more conventional postal delivery. An alternative solution can nearly always be found. Grammar Captive is a trademark of nudge.online. Please find below important information related to company and domain registration, webhosting, internet security, payment, and user privacy. The names nudge.online, nudge.online, and nudge.online are interchangeable. The grammarcaptive.com domain name is registered with GoDaddy. The grammarcaptive.com domain name is hosted at Lunarpages and the associated website and -pages can be accessed in a modern browser window using either grammarcaptive.com or www.grammarcaptive.com. All requested personal data (both requisite and optional) are transmitted via a secure internet connection using the TLS/SSL secure layer protocol. For a more detailed discussion about internet security please click on the word Security under the Other heading in the Grammar Captive navigation panel on your left. All payments to Grammar Captive are made to nudge.online directly through PayPal or indirectly via PayPal through PayPal's secure affiliates including VISA, MasterCard, and others. Though recommended that you open a PayPal account for payment, it is by no means necessary. All you need is an internet connection, the PayPal address, a VISA, MasterCard or other PayPal affiliate card, and, of course, something in your account. Clicking on a PayPal subscribe button on the Grammar Captive webpage will take you directly to the appropriate address and a standard online form where you can enter your credit card information securely. There is no charge to you for the direct or indirect use of PayPal. Grammar Captive (nudge.online) pays the handling charges and financial fees for you. If you would like a PayPal account, you can discover more about PayPal here. Grammar Captive prides itself in its collection, storage, analysis, and proper use of users' data. To this end it has incorporated Matomo data collection and analytical techniques into its quiver of web-application tools. Once Matomo is downloaded and secured on the Lunarpages server it becomes the property of Grammar Captive and no longer depends on Matomo for its operation. Furthermore, all data collected for the purpose of measuring user activity and site performance are entered directly into the Grammar Captive database where it remains until it is called for the purpose of analysis. The results of the analysis are then used by Grammar Captive to prepare future upgrades including improved security, new functionality, better content, quicker data turn-around, and an overall better user experience. Indeed, Grammar Captive makes the assumption that most users do not mind that data about their person and behavior on a given site are collected, so long as the data is transmitted and stored securely and is not used to their disbenefit. Accordingly, Grammar Captive attempts neither to disguise its collection of user data, nor to obscure the nature of what it collects. This said, information about a user's behavior, his electronic equipment, browser version, whereabouts, preferences, and time spent on a website can surely be used for malicious purposes. Grammar Captive rejects this use and any abuse of data freely given in exchange for better knowledge, instruction, entertainment, and advice. Data collection is a two-way street; just as users are concerned about what a service provider will do with their data, so too are responsible service providers concerned about what their users do with the information that they provide to users. Obviously perhaps, the typical service provider provides far more data than he collects, and what he collects usually has two fundamental purposes in mind -- enhance the experience of the individual user and insure the best possible outcome to everyone involved. Now, if you reject this model of exchange, it is recommended that you find another place to learn about language, communication, second language acquisition, English grammar, and what you can do to help dismantle the failed system of education to which nearly all of us are sadly made subject. If for some reason, you truly like Grammar Captive, but are too afraid to provide what is necessary to make it better for yourself and others, then uncheck the box below, and Grammar Captive's Matomo software will disable further data collection in your regard. In effect, you will allow those who are not afraid and share their information with Grammar Captive to decide the future of Grammar Captive instead of you. As always, it is the courageous and industrious who make a difference, and at Grammar Captive, the choice to be or not to be is yours. Please choose wisely. Ironically, the decision to act or not to act takes the same amount of energy if properly made. Once the decision is taken, however, not acting is generally easier. In this case, you are encouraged to decide, but not to act. The privacy pledge used by Grammar Captive is the same as that used by nudge.online. Thus, the privacy issues covered below tend to be broader than those used by Grammar Captive. Those that do not apply to Grammar Captive can simple be ignored. The following document is generated by Iubenda at the request of nudge.online on behalf of Grammar Captive users. The long term objective of Grammar Captive is to provide a membership forum that brings together those in the English language industry -- both teachers and students -- who recognize the grievous short-comings of a global system of mass education that caters more to government bureaucrats, university professors, publishing houses, accreditation agencies, organized labor (teachers unions), a whole host of private language schools, and freeloading tourist and other specialized industries than it does to the students and parents whom the system pretends to serve. By providing both teachers and advanced students around the world with highly useful, practical solutions that will help them achieve their immediate objective -- namely, the transmission and/or acquisition of the English language as a second language -- Grammar Captive hopes to bring attention to the larger problem of government mandated, universal, English language programs that serve the few at the expense of the many in the name of equal opportunity, enhanced global communication, and world peace. If you would like to learn more about this nefarious industry even before the membership forum has been created, you are welcome to peruse the Hong Kong Language Needs Assessment (HKLNA) Project. Although dedicated to the Hong Kong English language industry the implications of the HKLNA Project extend far beyond Hong Kong in particular and East Asia in general where the project was hatched -- this, despite the wide variation in language polices and programs of our world's various national governments. Please enter what interests you. Else, there is nothing to search. returns only those newsletters that contain the exact phrase. Select a podcast according to your interests! returns only those podcasts that contain the exact phrase. returns only those question and answer pairs that contain the exact phrase. Regularly and irregularly posted updates of important changes that appear on the Grammar Captive blog page.